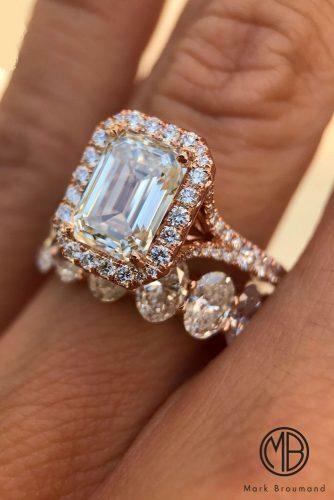 Rose gold and vintage design make this halo ring stunning from every angle! (Photo 1). 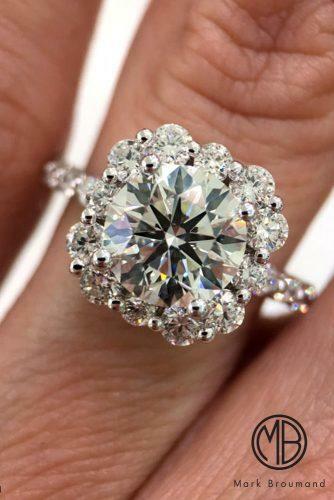 Stunning diamond engagement ring with a mesmerizing design, reminiscent of a snowflake (Photo 2). 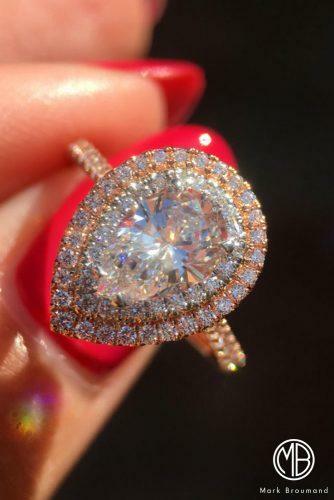 Pear shape of the centerpiece stone of this amazing ring will flatter her hand and make it look more aristocratic (Photo 3). 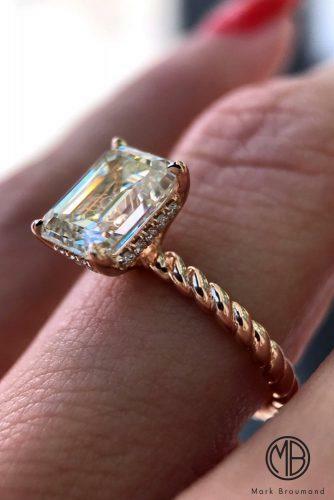 A striking emerald cut centerpiece with a diamond halo in vintage rose gold (Photo 1). 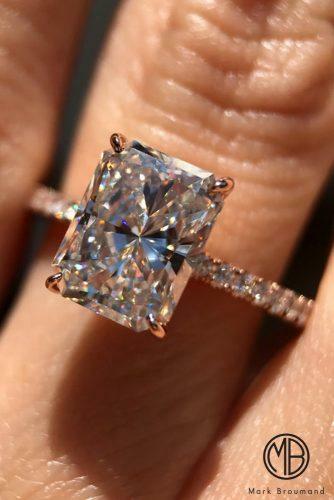 Exquisite emerald cut diamond engagement ring wiith outstanding proportions and unmatched sparkle (Photo 2). 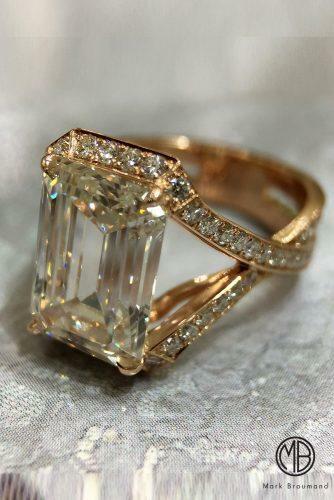 This simple, yet beautifully designed emerald cut diamond ring is sure to be cherished (Photo 3).